You've found the UC Master Gardener Program of Contra Costa! Got a home gardening question? ASK US! Want to talk with a UC Master Gardener? FIND US! Curious about what we do? Check out MGs in the Community. Looking for Our Garden? Mangini Garden? Concord, CA (April 16, 2019): Registration is now open for May and June Orientation Sessions for our New Volunteer Training Class starting Fall 2019 . We train new UC Master Gardener volunteers once a year in the fall and winter; prospective applicants must attend an orientation session prior to applying for admission. Thank you, Contra Costa! The 2019 Great Tomato Plant Sale is now in the rear view mirror, but our sales were highly successful, with all proceeds going to support our year-round educational and public outreach work here in Contra Costa County. Even if you missed the sales, you can still read about what went on and start planning for next year! Our Growing Gardeners Program represents a new learning opportunity for home gardeners in Contra Costa County. The upcoming June 2019 Antioch class has reached capacity, but you can visit the Growing Gardeners page for more information about the Program. Spring has sprung! Our intrepid Ask a Master Gardener teams will be available to answer your questions starting March 23 at Farmers' Markets across the county. See the schedule here. Our Walnut Creek demonstration garden—Our Garden—will offer a series of presentations starting at the Great Tomato Plant Sale on March 30, and as always, we will have Ask a Master Gardener teams on hand for advice and guidance. See the Our Garden schedule here. Spring 2018 allowed us to celebrate the grand opening of Mangini Garden, our new East County demonstration garden within the Contra Costa County Fairgrounds in Antioch. Mangini Garden will be open to the public again in Spring 2019. See Mangini's 2019 events. UC Master Gardener advice and problem diagnosis services are available nearly all year long! For problem diagnosis and answers to your gardening questions, just contact our Help Desk. The Help Desk is open 50 weeks of the year, Monday through Thursday, from 9:00 am to Noon, although closed during the winter holidays. You can walk in, call, or email us for help. Our mission is to extend our knowledge to YOU. If you decide to walk in, don't forget we've moved to Concord! See the bottom of any page on this website for the new address and phone number. Besides the Help Desk, you can also find us at public libraries across the county giving some of our most popular presentations. "It's better than my birthday...I wouldn't miss it for anything." So said one of our guests at our 2018 Fall for Plants gardening workshop that returned to Walnut Creek in September. In case you weren't able to attend, check out the event main page and the workshop program page...and start planning now! 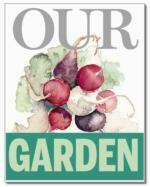 We'll be back next September with another great educational event for County gardeners. The most frequent questions we receive at the Help Desk and other venues get written up for our gardening blog, HOrT COCO, Check it out, and if you like what you see, you can subscribe here. Keep conserving water...no matter what. Remember that water conservation continues to be vital to California's long-term health and resilience. Learn more about water resources in California. For water conservation tips, check out our Drought Tips page, as well as a HOrT COCO Blog entry on Smart Controllers. Want a quick and easy fix? Many of us have areas of lawn that serve no particular purpose. Try sheet mulching unused turf to save water and improve your soil at the same time. Speaking of soil...did you know... 2015 was the International Year of Soils! Visit the FAO's soil portal for more information on the International Year of Soils and other topics. Most Contra Costa soils contain plenty of the nutrients plants need. Keeping your soil healthy will let you cut back drastically on landscape fertilizing. Less fertilizing means less watering (and more money in your pocket)! The Story of Our Garden. In 2009, the UC Master Gardener Program of Contra Costa County joined with the Contra Costa Times to begin the Our Garden project, and in April 2013 we held our grand opening in our new, improved location! Our Garden is a focal point for UC Master Gardener educational activities, an ongoing collaborative edible garden managed by dedicated volunteers and supported by generous sponsors. Short demonstrations and classes taught every Wednesday from April through October offer the public a free and open venue for up close and personal learning about the process of growing one's own food. Special events supplement this outreach. Food produced by Our Garden is donated to local charitable organizations.